One & Other, Antony Gormley, 2009. Produced by Artichoke. Photo by Matthew Andrews. Ordinary people in one of London’s most celebrated public spaces, one hour at a time. 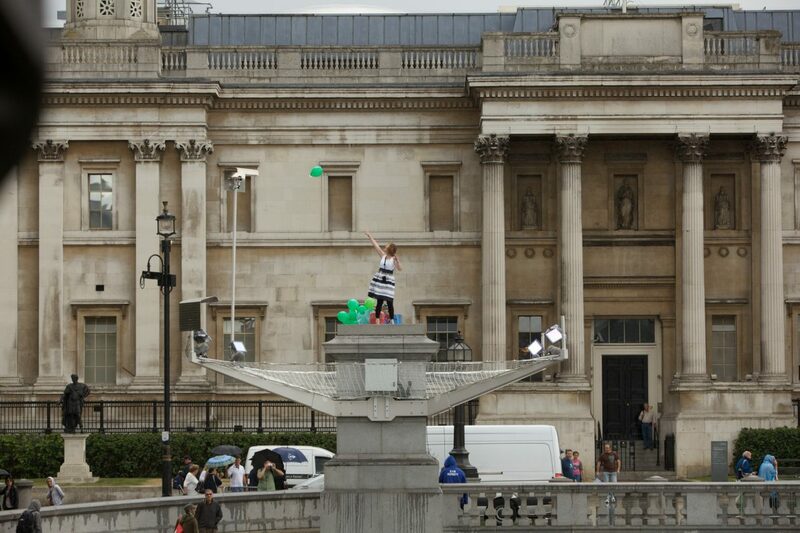 Every hour, for 100 days and nights in 2009, people from around the UK took to the Fourth Plinth in Trafalgar Square to dance, protest, sing or simply do nothing.